Lochaber Geopark Association is a Scottish registered charity, SC038372, founded in 2004. We have developed our visitor centres and network of outdoor information panels with funding from a variety of organisations. Currently we are part-funded by Highlands and Islands Enterprise. To maintain our activities we rely on sales and donations in our visitor centres , on-line sales and donations , our membership scheme and our field excursions. If you like what we do please support us by dropping in to our centres or by using these links. We have received funding from Scottish Government organisations, heritage funds, local organisations and companies. We are grateful for their support, without which we could not have developed our visitor centres, or provided field excursions and other educational services for visitors and the local community. 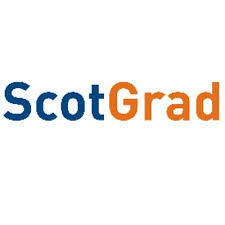 Currently we are being funded by ScotGrad for our staff graduate geologist until mid-July 2019. The aims of their job are to help make us more self sustainable with income from membership and geotours as well as providing outreach education.